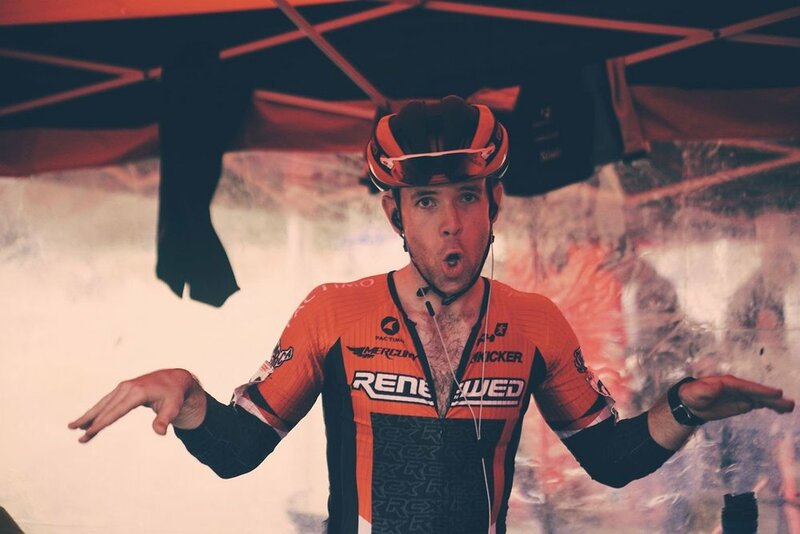 In 2015, the week between Ruts N’ Guts and the Resolution CX Cup was a wet one. In fact, in the two previous editions in which I had competed, I’ve never raced in dry conditions. There was always rain and mud and cold and slop. Cyclocross conditions for sure. The 2016 edition presented a stark contrast to the weather fortunes of previous years. The rain stayed away and the sun actually graced us with its presence, but that didn’t mean the racing was any easier. Having planned my schedule ahead of time, I had another Friday off of work and was able to enjoy a full French Press in the comfort of my own home. Highly caffeinated and fueled for the day – pretty sure I had pancakes – I headed up to Winters Park in Garland for a little course preview and some pre-race openers. The venue in the amphitheater offers a balanced course with plenty of power and skill required. I’ve enjoyed seeing this race develop over the past few years and each time there is a new section to keep things fresh and exciting. 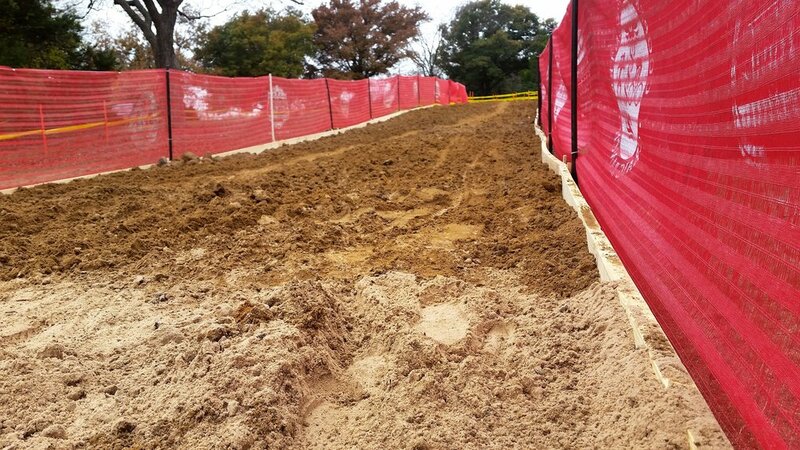 This year, there was added sections through the woods which provided a pump track and an additional punchy climb, adding to the ride vs. run dilemma. My amigo and main pit crew chief, Ryan, joined me for some laps on course and some sessioning of the technical sections of the course. Feeling comfortable with the track, I was able to enjoy a night at home and get some much needed rest before the weekend’s races. Racing the last race of the day, I took my time getting ready to rumble. With several laps on course already, I could afford to be a bit more relaxed with my pre-race routine and use the course preview as a chance to commit my lines to memory and dial in tire pressure. The elite men’s field was strong. Though it may have lacked some of the firepower of previous editions, there were plenty of the country’s top riders that made the trip down to chase some more UCI C2 points. My singular UCI point slotted me on the third row of the start grid and I lined up behind Tristan Uhl and Allen Krughoff. My decision proved to be a good one as both riders had fast starts and I could follow the train to the front of the race. In all honesty, it was probably the best start that I’ve had all year! As we exited the pavement onto the grass, I found myself in the mix with the “big boys” and in a position to flirt with the points. I was feeling confident about things and I knew that I just needed to push myself to make the front group. Once I was there, I would just need to hang on for dear life. The course had several familiar features, one of which was the Velcro-like grass that sapped all power from your legs as you climbed up to the top of the course multiple times per lap. I was dangling just a few bike lengths off the leading group but felt comfortable with my position chasing with some other well-known riders. Two laps in and I was still feeling good about my position and my chances. But every time we bombed through one of the sections of single-track that passed behind the timing trailer, I was losing time. I would chase back on but the repeated effort and constant climbing was beginning to take a toll. I played the odds and elected to settle into my own rhythm for a bit. Each time up the hill towards the barriers, riders were flying past me like I was standing still. I tried to turn a bigger gear, a smaller gear, but nothing seemed to be helping. Four laps in, I was dropping back in to the aforementioned single-track when I got a bit too loose with it. With little pressure on the front tire, my bike slid out from under me and I found myself on the deck. Are we physically okay? Yes. Is the bike okay? … Well…. I picked up my Baby Blue steed and found the left brake level pointing straight out, perpendicular to the ground. My heart sunk a bit, but I reminded myself that I still had one brake and the left lever of the SRAM CX1 system doesn’t affect my shifting. I made it to the pit and dropped my bike to Ryan. “Brake lever is effed,” I offered. With the backup bike in hand, I soldiered on. At this point I was riding solo, but I was still trying to ride as hard as my legs would take me, which wasn’t fast enough to make up any ground. I rolled along for the remaining laps and eventually crossed the line in 22nd place. While the result wasn’t terrible, I knew that I had the ability to ride better than the final placing would show. Fortunately, Sunday is a new day. Day 2 and I awoke with some renewed hope that I would put together a good ride. The threat of overnight rain passed without any accumulation, which meant we were blessed with another dry day. I wasn’t sure what to do, since I had raced in wet conditions at least one race per weekend this whole season. So having two dry days was something of an anomaly to me, but a welcome one nonetheless! The course direction was reversed from the previous day but there was still no reprieve from the uphill, power-sucking climbs. Run ups were now steep descents and the pump track section became much more fun in the downhill direction. A braver wo/man would have thrown a whip or two off some of the jumps, but I wasn’t about to run that risk. The start formation was the same, and again my leadout train had a fast start. The group was a bit more argy-bargy today as we barreled off the line and into the dirt. I slotted into a good position again, just off the lead pack. The Sunday course still required a great deal of power output and I knew riders at the front would start to fade as the race wore on. I was riding well, not necessarily in the points, but much better than the day before. Each time down the technical sections, I would gap my competitors, which was a boost of confidence for me. But what I had in technical flow today, I lacked in power output, and each time up the hill the gap to the next group would grow bigger and bigger. I rolled on, turning consistent laps and reeling in a few riders who were fading. However, I ran out of real estate and couldn’t ever quite get on terms to catch them, eventually rounding out the top 20. The end of the race was bittersweet to me. Just like Saturday, I was left wanting a bit more from myself in the race. But the completion of the Resolution CX Cup was also the end of my 2016 UCI campaign and I was, and still am, proud of the improvements I made this season of racing at the highest level. In a moment of regret, my friend Tricia pointed this out to me, that I was not just there riding the race, I was actually up there and competing. Sometimes our friends help us get out of our own way so we can see the bigger picture. 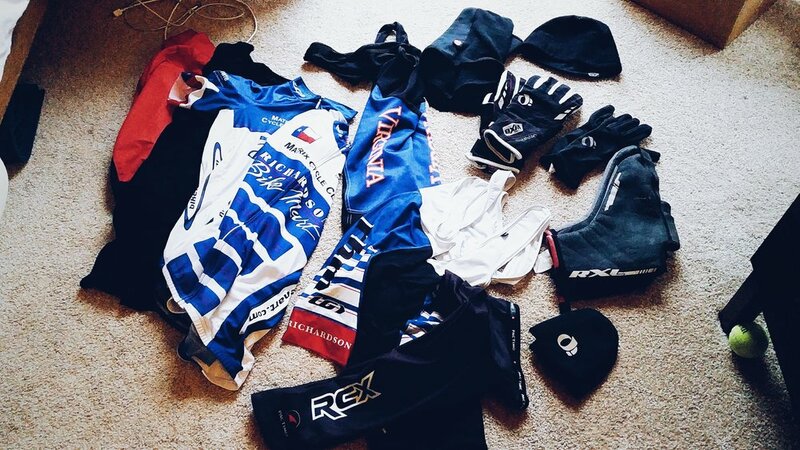 While I wasn’t ever close to vying for the podium at any of my UCI races, I was rarely out of the game. At the end of the day, this is a process and maybe in 2017 I’ll be one of the guys making the race at the front. 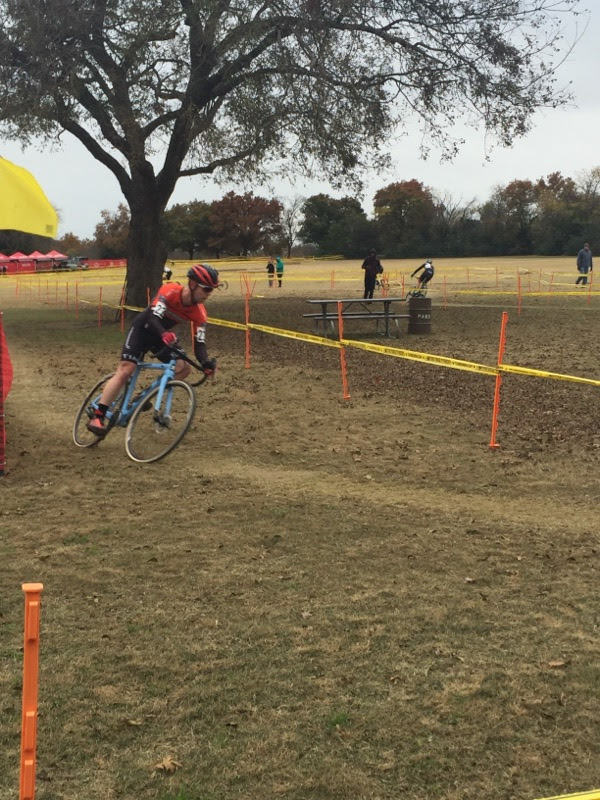 Next up is the last race of the 2016 calendar year at the Highlander CX Cup in Waco, Texas! The wrong sand was delivered so we had clay instead.